We all know Tyler Blum as the RedZone football guy, but did you know he was a multi-sport athlete? The following interview gives us a quick glance of Blum’s athletic career. Enjoy! What high school did you attend and what sports did you compete in? Positions? Walnut High School in Walnut, Iowa. How did you manage playing multiple sports with overlapping seasons, workouts and school? I was able to manage playing multiple sports and being a student because those were the things that mattered most to me. They were more important than video games, TV, girls, or other things my peers were doing. If you cut out the other distractions, there is plenty of time to practice, workout, and get your schoolwork done. Anyone can say they want to be a great athlete or student; it’s those that make everyday decisions to live like a great athlete or student that succeed at it. Tell me about your athletic career after high school. I attended the University of Iowa to play football. My career with the Hawks didn’t quite live up to what I had dreamed of going in. A serious back injury and the jump from high school to Big Ten competition kept me on the scout team throughout my career. Nonetheless, I worked hard, kept a good attitude, was a team leader, and earned a degree in 4 years. I played baseball after college and was fortunate to pitch for 2 seasons in low-level professional baseball around the country. I retired as an athlete in August 2011. I’ve been a couch ever since. My favorite sport is wrestling because it is a sport in which you get what you earn. It’s a personal competition between you and your opponent. There is no ball flying around or other pieces of equipment involved. It’s a sport in which perseverance and commitment are rewarded over luck and God-given ability. It’s a much purer and more objective sport than others. What do you think was the hardest thing about being a multi-sport student-athlete? It was difficult for me to realize that the opportunities provided by my academics and education, were as plentiful and more enduring than those provided by athletics. When my days as an athlete came to an end, it was difficult to find a path because I had focused a much higher percentage of my thoughts and energy on sports as opposed to other interests. One sport athlete vs. Multi-sport athlete? Multiple-Sport. Being a great athlete is a constant pursuit—day in and day out. Playing multiple sports allows kids to keep their developing bodies active and provides good physical homework for them to get stronger and faster. Doing so through multiple sports beings new physical and mental challenges year after year. 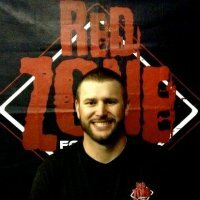 If you have any more questions you’d like to ask Tyler, email us at info@ddsportsacademy.com.